At the 2016 MLD Family Conference a conversation with Dean led to a decision to attend the Rare Disease week. 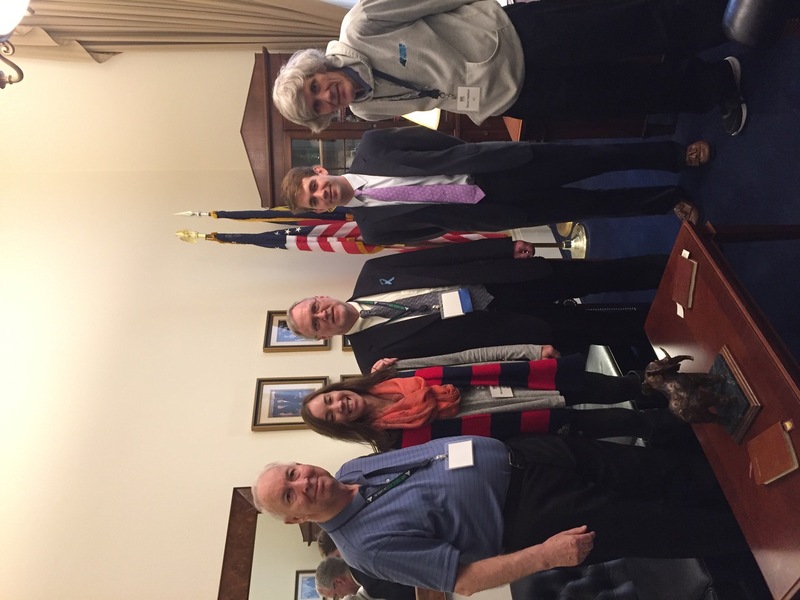 It was a first visit for wife Nancy and I to Rare Disease week and a pleasure for us to assist daughter Michelle in attending this year. Last year she had planned to attend but her daughter Emily had been admitted to Boston Children’s Hospital so Kim Brown had to pave the way and the great job she did encouraged us . Having visited DC all the way back to 1968 and many times since, I can conclude that big government is definitely in vogue. Our first challenge was finding the right hotel and transportation and as always Dean came to the rescue. We stayed in Arlington Hilton Garden Inn based on one caveat, they gave us a reservation that could be cancelled at the last minute, no charge. Michelle was a suspect attendee based on her stroke and cancer recovery status but she was able to recover sufficient to make the trip. 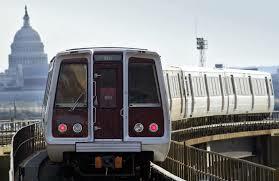 We used the metro to transfer from the hotel to meetings and soon were comfortable with travel inside the beltway. My recommendation would be to use Uber (what a great innovation in free and fair trade) to avoid any walking and searching for buildings in the rain. 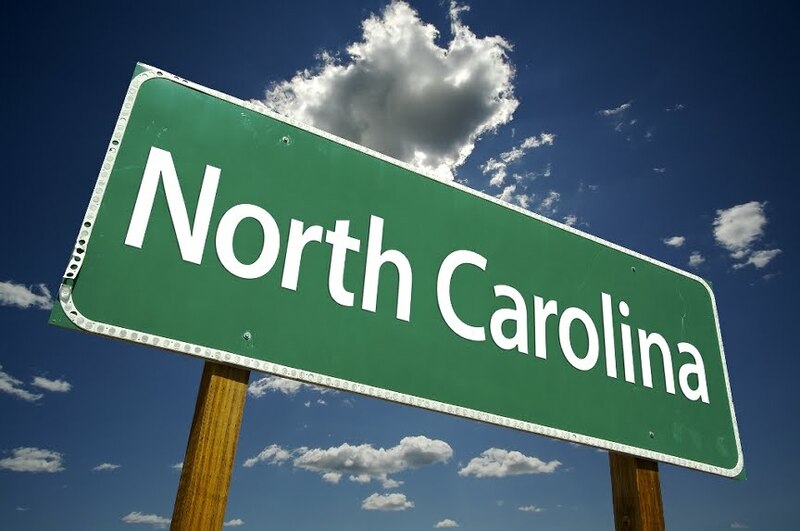 We attended the RDLA Legislative Conference on Tuesday, which was a series of presentations related to rare disease issues apart from one political speech in support of the ACA which is an oxymoron. Most of the presentation related to current issues of interest to the advocacy community. The room was packed with attendees and the presentations were helpful in preparing us for the next day. 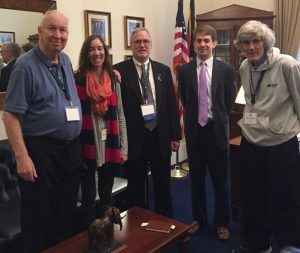 We met and heard some people from NC who had significant experience in advocacy and the group that we participated in helped navigate us through the halls of the senate and congress during our representative visits on Wednesday. We were prepared that we would not get to visit face to face with our representatives and that senior staffers were equally important. I did see a number of senators in the basement as they departed the subway to the capitol building including Elizabeth Warren who smiled at Michelle as she was being pushed by me but had an MA Rare Disease badge on. 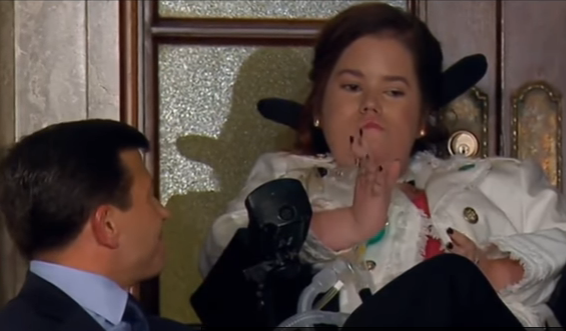 My disappointment at not seeing any senator or congressman in our office visits was more than countered by the magnificent scene on Tuesday’s TV appearance of Megan Crowley* in POTUS’ message to a joint session of Congress and the first time ever Presidential recognition of Rare Disease Day! In summary, it was a great experience and one we will repeat again next year, Lord willing. For many years I have lamented my lack of involvement in the MLD lobby. Dean and Teryn have carried the baton alone too long. This year was a manifold increase from Kim Brown’s sole visit last year. I hope that next year we will have an MLD hotel block rate to encourage participation. * Megan Crowley, her father John and the rest of her family were featured in the 2010 film, Extraordinary Measures.